Videos of rats stashing, discovered on YouTube, deserve a gallery. Stashing is an incredibly important form of enrichment for pet rats. Various titles for these rats: Stealing Rats, Rascals, Naughty Rats, Thieves, but, mostly and best, CUTE CUTE RATS. Help your rat be a bad rat by providing opportunities to stash. Through stashing, rats feel productive and successful. If rats can't stash, their stress level will rise. Large tubes of stuff you don't want rats to have, they want. If you give your rats any kind of free-range time, you must lock all fluids, drugs, medicines, liquids, foods, and solids, in a steel safe with a 10-digit combination. This video is cute, but the warning is clear - keep these things away from rats. The action is at the end of this short clip. You don't remember throwing your tea bag out? The comment on YouTube notes how important it is to make sure the tea is cool. I would gently take back the tea bag, as well, because I don't think eating tea leaves is recommended. Toast crusts will do just fine. Toast crusts? Forget that, how about YOUR DINNER? If you put a treat in the stash thing, the rat may not stash it. That's okay, digging into stuff to find food is also enrichment. Balls, they are mine. Thus say the rats, and they make it so. Paper of all kinds is a fantastic stash item. Think nest-building material. How about let's get the MAIL! 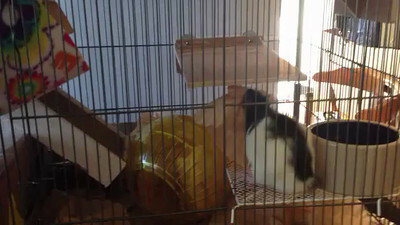 Rats LOVE to climb. Placing something yummy in an out of the way spot will encourage the rat to find it. In this case, bird seed on the far side of the planet. The comment cautions not to let rats and birds interact, and apparently this rat got to do this routine only once. Stashing Halloween candy is a given. Wrappers don't matter, of course. And this kid tries to wrestle the candy back but the rats keep a firm hold. I don't know which is more fun to watch, the kid or the rats. Setting up the environment so that the rat has to go a long and convoluted path to her stash spot, encourages exercise and inventiveness. This video is a great example. Um, perhaps this doesn't belong as the rats here have decided to munch instead of stash. Ending with a wild rat stealing bird seed. An excellent example of rats foraging. He's not stashing stuff, in this case he's eating to survive. YouTube abounds with rats stashing stuff. Some of the gems are here. 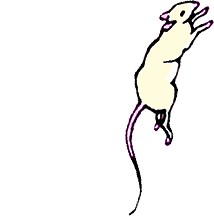 If you are viewing this on the keywords page, click the link to go to the gallery and view many embedded videos from YouTube on the fine art of rat stashing.